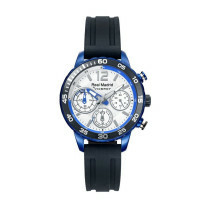 The licensed font is used for the number and name printing. It's identical to the one used on players' jerseys. - learn more. Karim Benzema jersey from a branded Adidas collection for the 2018/19 season. Number 9 and surname BENZEMA made with the official Real Madrid font for the 2018/19 season. The proof of authenticity is Madrid's badge at the bottom of the number that is absent on counterfeit prints. Want to know more about printing on football jerseys? Click here to find out how prints are made in our store. Some of you have probably noticed that Real Madrid's players in the Spanish league and Copa del Rey appear in jerseys with a different font. This is the result of the regulation introduced by the La Liga authorities since the 2017/18 season, which requires all teams to appear in jerseys with the same font style - fonts may differ from each other only in color. Real Madrid jerseys with the La Liga font are not available for sale at all. In the remaining competitions, Los Blancos appear in jerseys with the font shown in the pictures above - it is also the only one licensed by the club. 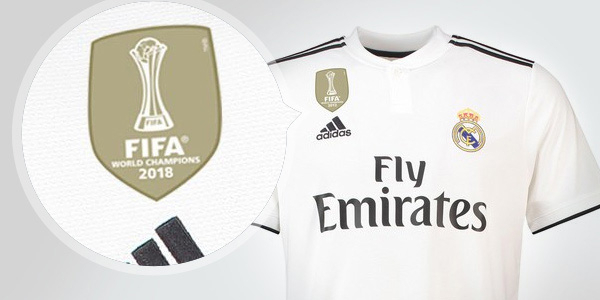 As a result of winning the FIFA Club World Cup in 2018, Real Madrid players wear the badge of the FIFA World Cup Champions 2018 on their jerseys. This badge will appear on all official match kits until December 2019 when the new champion is revealed. If you would like to add the FIFA World Champions 2018 badge to your jersey, select the option above and we will take care of the rest. During the Champions League matches, Real Madrid players wear Champions League badges on their sleeves. If you would like to add the UEFA Champions League badges to your jersey, select the option above and we will take care of the rest. 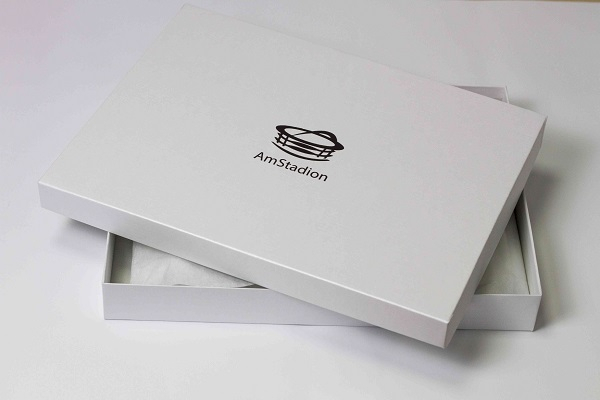 We pack each custom jersey in an elegant box with our logo on it. This way the jersey is perfectly prepared as a gift for that special someone.